Jatropha curcas mosaic disease is a newly emerging disease that challenges the productivity of a prospective biofuel crop, J. curcas. The aetiology of this disease has not been resolved. Here, we report the complete nucleotide sequences of a Jatropha virus isolated from Dharwad, Southern India. 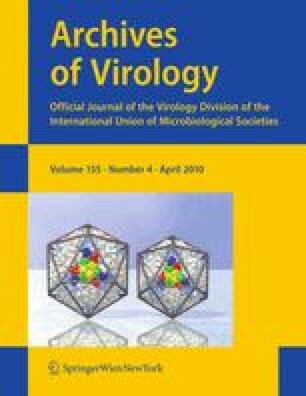 Phylogenetic analysis of the virus genome suggests it is a new strain of Indian cassava mosaic virus. Agroinfiltration of the two cloned viral DNA components produced systemic infection and typical mosaic symptoms in J. curcas, thereby fulfilling Koch’s postulates. The availability of infectious clones will provide a valuable tool to screen J. curcas cultivars for disease resistance and facilitate the generation of virus-resistant J. curcas plants by transgenic technology. We thank Drs. Srinivasan Ramachandran (Temasek Life Sciences Laboratory), Ramesh S. Bhat (University of Agricultural Sciences, Dharwad, Karnataka, India) and A. S. Byadgi (University of Agricultural Sciences, Dharwad, Karnataka, India) for their kind assistance in collecting J. curcas samples. We also thank the two anonymous reviewers whose helpful suggestions have led to an improvement of our manuscript. This work was supported by the Temasek Life Sciences Laboratory and the Singapore Millennium Foundation.